Satoru Iwata, the president of Nintendo, has died. 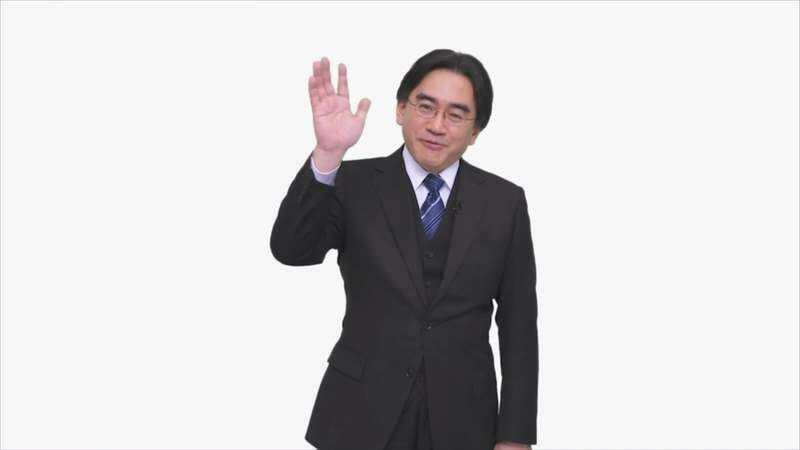 That’s according to a brief statement released by the video game company, which says, “Nintendo Co., Ltd. deeply regrets to announce that President Satoru Iwata passed away on July 11, 2015 due to a bile duct growth.” He was 55. Iwata got his start in the video game industry when he was still in school, working as a programmer for Nintendo subsidiary HAL Laboratory. He eventually became a full-time employee at HAL, and had a hand in developing a number of now-classic Nintendo titles like Balloon Fight and EarthBound. Iwata became the president of HAL in 1993 and officially became a part of Nintendo seven years later. In 2002, Hiroshi Yamauchi—who had been Nintendo’s president since 1949 and oversaw its transition from a card company to a video game giant—stepped down, and Iwata was named as his replacement. This made Iwata only the fourth president in Nintendo history. Under Iwata’s leadership, Nintendo introduced its hugely successful line of DS handheld consoles—including the online-enabled DSi and the more recent 3DS—and, more importantly, the system that somehow made Nintendo into even more of a household name than it already was: The Wii. With its revolutionary motion-based controls that were instantly intuitive to even the least-experienced video game player, the Wii launched Nintendo so far into the stratosphere that its competitors at Sony and Microsoft desperately—and futilely—tried to duplicate it for years. Iwata hadn’t just put Nintendo back on top, he had turned the entire world of video gaming upside-down. In 2013, Iwata became the CEO of Nintendo Of America, the company’s English-language branch, and he introduced a new focus on smaller, more straightforward events that were a direct contrast to the dramatic fanfare that most gaming companies bring out when they want attention. One of these smaller events is the Nintendo Direct series of online videos, which replaced the stadium-sized rock concerts of traditional game announcements with a presentation that’s almost as revolutionary as the Wii: They just plant a guy from the company in front of a camera and have him talk directly to the fans about whatever game Nintendo’s is working on. Iwata himself appeared in the Direct videos many times, and he was almost always wearing some kind of funny costume or doing something surprisingly wacky that belied his status as the president of an enormous company. Case in point, a puppet version of him starred in Nintendo’s recent E3 presentation, which is probably something that no other company like Nintendo would ever allow. But there really is no company like Nintendo, and a lot of that—especially over the last 13 years—has been because of Iwata’s influence. His willingness to be silly in the Direct videos made him a lovable face for the company, but the way he pushed for Nintendo to stay honest, creative, and unique changed the entire video game industry. The list of games he had a hand in developing may be unbelievable, but that will really be his legacy.